"As with other Chinese diasporic communities across the globe, Manhattan's Chinatown has historically been dominated by men and male-run institutions. On Saturday December 10th, join us as four women, early pioneers in Chinatown's business community, labor organizing and the arts and those continuing the struggle, come together in The W.O.W Project’s first public panel since the presidential election. Conceived as part history lesson and community strategy session, we envision this evening as a safe space and a space for reflection, regrouping and mobilization by those confounded by recent political developments. This panel is part of a larger series of conversations about Chinatown in the hopes of nurturing and sustaining community. Panelists will share their experiences working at various historical junctures and the lessons and strategies gleaned from those contentious times that may be helpful to us today. The panel includes Ching Yeh Chen co-founder and owner of Pearl River Mart, May Ying Chen union organizer who has devoted a career of more than 25 years to the garment workers’ union: Local 23-25 Workers United/SEIU, Cynthia Lee former VP of Exhibitions, Programs & Collections at the Museum of Chinese in America, who led the development of MOCA’s new core exhibition, “With a Single Step: Stories in the Making of America,” and Sophia Ng Executive Vice-President at Po Wing Hong Food Market. The discussion will be moderated by cultural worker Lena Sze." 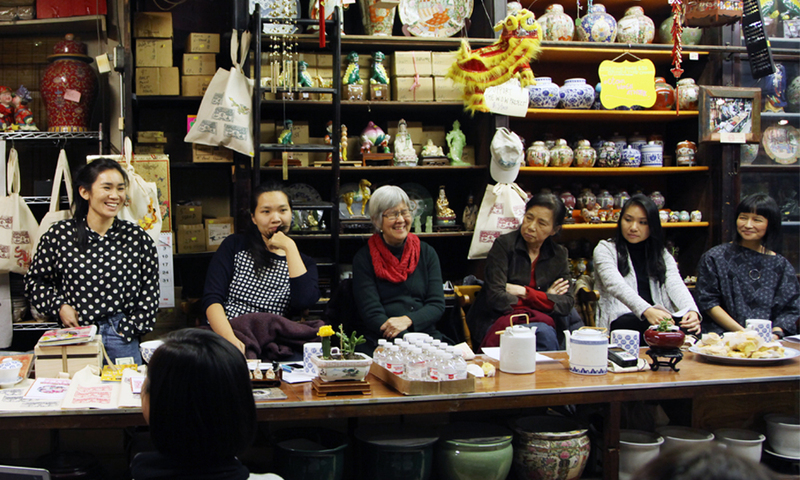 The conversation was a great reminder, as Betty Yu of the Chinatown Art Brigade 唐人街藝術隊／ 唐人街艺术队 put it so well that "women have always been the leadership of our work and our movements in Chinatown." We hope that you all are continuing to have conversations beyond the W.O.W space and are thinking seriously about how you can plug into the organizing work in the community to join the fight in protecting NYC's Chinatown and other Chinatowns around the world. AALDEF focuses on critical issues affecting Asian Americans, including immigrant rights, civic participation and voting rights, economic justice for workers, language access to services, educational equity, housing and environmental justice, and the elimination of anti-Asian violence, police misconduct, and human trafficking. On July 31, 1971, the very first Chinatown Health Fair was held by a group of volunteers to provide health education and screenings to the medically underserved Chinese community in New York City. Following the tremendous community response, the Chinatown Health Clinic opened its doors that same year, run entirely by volunteer doctors, nurses, social workers, community health workers, and students. The Health Center has continuously expanded and grown to provide bilingual and bicultural healthcare services to underserved communities. Today, the Charles B. Wang Community Health Center is a NCQA level 3 Patient-Centered Medical Home. We have three sites in Lower Manhattan and two in Flushing, Queens, serving more than 50,000 patients and 275,000 service visits in 2015. CAAAV Organizing Asian Communities works to build grassroots community power across diverse poor and working class Asian immigrant and refugee communities in New York City. Kiwanis of Chinatown's mission is to serve the children and elderly of the community. Kiwanis of Chinatown sponsors Key Clubs for both Stuyvesant and NestM high school, where students work on various (community) service projects throughout the year. In addition to fundraising for programs from Kiwanis International (Eliminate Project), Kiwanians spend hundreds of ours volunteering for community service work where needed, such as in senior centers or public schools. The New York State Immigrant Action Fund, a 501(c)(4) not for profit corporation, envisions a political system that respects immigrant voices and is responsive to diverse community needs. We believe in the power of political and electoral organizing to turn immigrant communities into a potent political force in order to promote the rights and socio-economic well-being of immigrants and refugees in New York State. Founded in 1973, OCA Asian Pacific American Advocates is a national non-profit civil rights organization promoting and protecting the political, economic, and cultural rights of Asian Pacific Americans in America. We are interested in working with anyone who shares our mission of creating a stronger America by advocating for the values of equal liberty and justice for all. Join the NY Chapter to meet other individuals dedicated to promoting the welfare of Asian Americans, and to get involved in NYC's most pressing political issues. The W.O.W Project’s mission is to engage the community in shaping the future of Chinatown by bringing together youth, elderly, business owners, and concerned residents in conversation and innovative idea generation. This resource was compiled by Mei Lum, Founder & Executive Director of The W.O.W Project, which is part of China Residencies' fiscal sponsorship program. 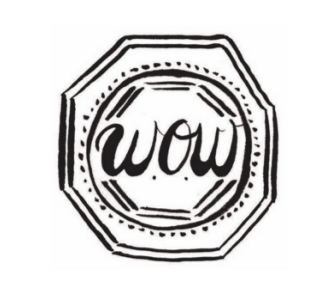 Donate to support the W.O.W Project here!